Well now you’re here, you’ve no excuses. Upgrade your plug sockets right here and now. Our designer 1 gang black plug socket is just the job for any style of industrial interior décor – it also looks fab in modern rustic and Scandi-style rooms too. To be honest, it looks great anywhere, you just can’t go wrong with such a streamlined, well-designed plug socket. Beautifully discreet on dark walls and a real eye-catcher of a statement on white or pale walls. Which way will you go? 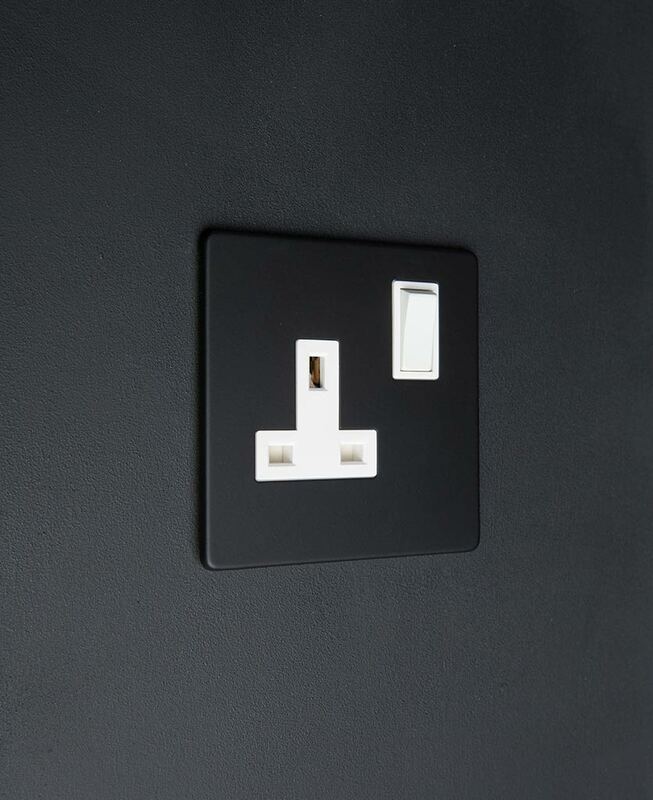 Our contemporary 1 gang black plug socket is exclusively designed and sold online by us. It’s a pretty restrained wall socket, no fuss, no frills just great style. Although black is often associated with the conservative and demure; in the electrical wall socket arena, we think black definitely errs more on the side of unconventional. We love it. 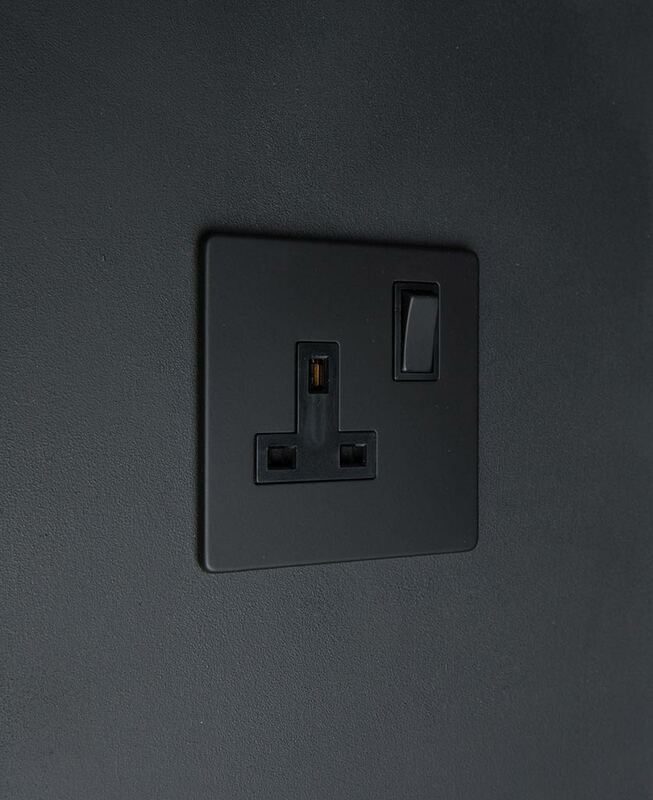 Fashioned in high-quality metal and finished off in extremely dignified matt black, our 2 gang socket makes for a restrained look… Unless that is you install it on a pale-coloured wall and then that’s a whole different statement you’re making. 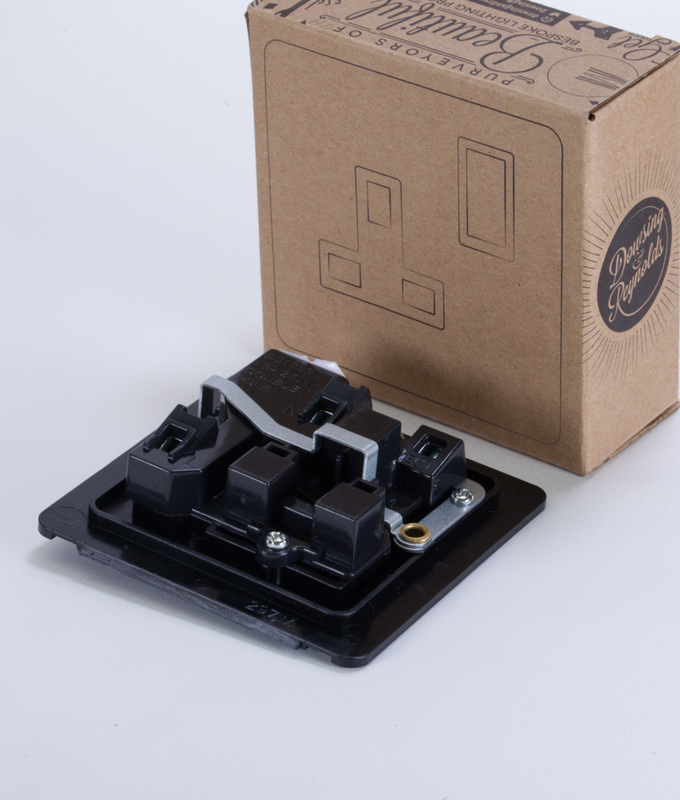 This black and black 1 gang plug socket is part of our exclusively created range of black and black switches and dimmers. coordinated this gorgeous collection of designer switches to complement a range of interior styles. We have everything from fused cooker switches to USB sockets – perfect for adding a touch of sophistication to any room.